Jina Yoo’s new counter-service place Le Bao is now open in the former Koonse Glass building next to Mojo’s Rose Music Hall. The menu consists primarily of bao (stuffed rice buns) and ramen and despite my adhering to a low carb diet these days I was in the neighborhood so what the hey? 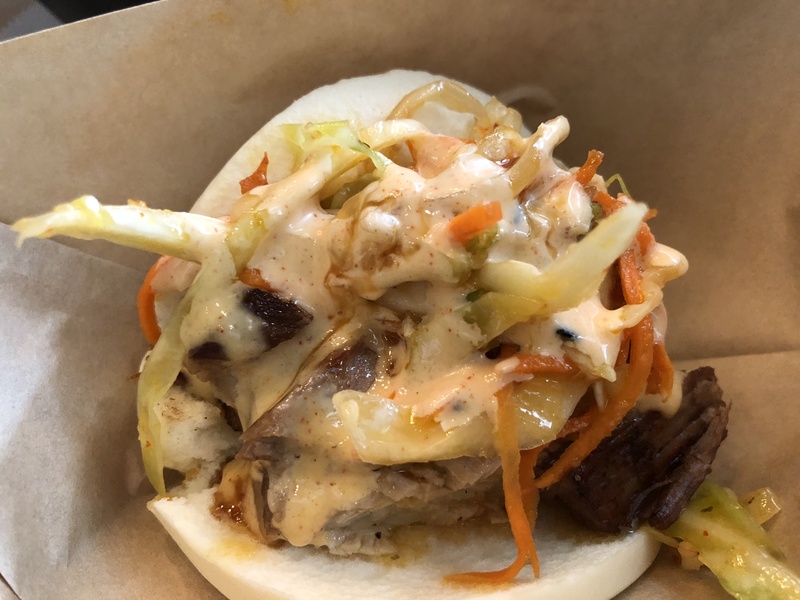 A pork belly bun (below) was meltingly tender and spiked with a syrupy glaze and punchy cabbage slaw. 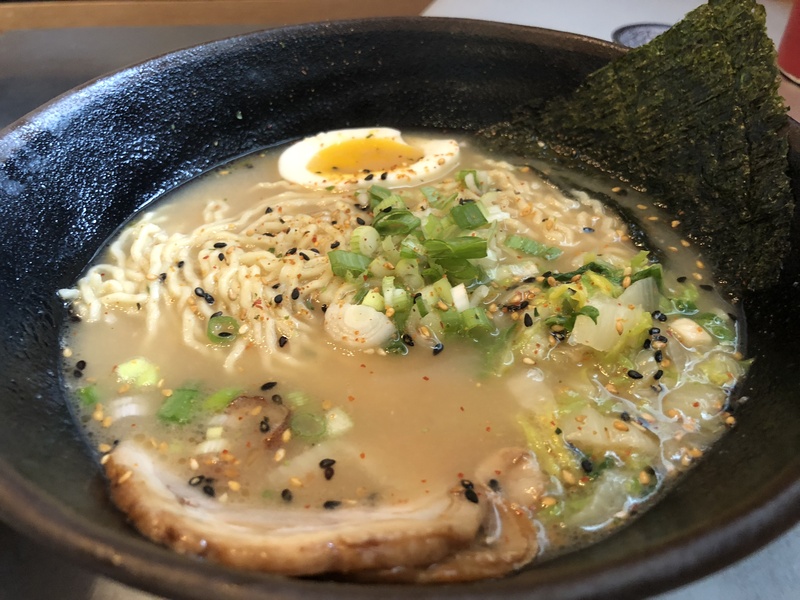 The pork ramen had a pleasant, mild broth, more tender slices of pork and a perfectly cooked soft egg. The noodles, to the limited extent that I partook of them, were springy and chewy – in a good way. I’d probably kick the bowl up with some sriracha next time but it was probably the best bowl I’ve had in town. Staff and service were friendly, fast and replete with recommendations for folks avoiding certain foods. Gluten-free noodles are available. You can get a bowl of ramen with extra meat or veggies and without noodles. Nice. People generally being cheapskates, there will be complaints about the prices. My lunch came to just under 20 bucks, including a tip. Having made ramen before at home I know it’s a laborious process and find $12 to be appropriate for a good bowl. Others may differ. To each his own. I for one will be back – with a to-go container for those noodles.